Dalhousie is a beautiful hill station in the state on Himachal Pradesh. The city was established in the year 1854 during the British rule in India and is situated on and around five hills. Located on the Western side of the Dhauladhar mountain range of the Himalayas, the city is the gateway to the ancient Chamba Hill State. We at Touristplacesinindia.com offers you complete guidance on all that you want to know about the beautiful city of Dalhousie. The city is situated about 6000 ft above the sea level and has a large number of destinations which attracts tourists from all around the World. The hill region in which the city stands is a repository of ancient Hindu culture and is bounded by temples all around. 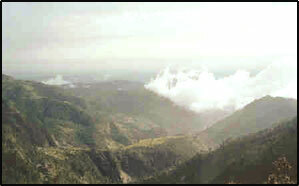 Dalhousie is the home to many temples and Churches. The temples in the Chamba region dates back to the 7th Century AD. The rulers of Chamba were great patrons of art which is depicted in the architectures of these temples. Craftsmen from remote areas of Northern India, who used to take shelter in this region during the medieval Indian Historical period, were patronized by the rulers of this region. The bronze idols made by these craftsmen are still extant in the temples of the region. Some of the important temples in the region include the Lakshminarian Temple, Hari Rai Temple, Chamunda Devi Temple, Lakshna Devi and Shakti Devi Temples, Mindal Vasni Temple, Temple of Purthi, and the Mani-Mahesh Temple. The Minjar fair, which is one of the most awaited festivals every year in the Chamba Valley, is held each year in the month of August. Thousands of tribal people and tourists assemble here on the occasion of this festival. The British rule in this region also experienced development of a large number of Churches Between 1894 and 1909 AD, there were about four churches made in this region, St. John�s Church being the oldest one. Other Churches include the St. Francis Church, St. Andrew's Church, and the St. Patrick's Church. There is also an elite convent residential school at Dalhousie, which was built in 1910 exclusively for girls. The city has a good transportation system with railways, roads and air traffic services. Pathankot in North Punjab has the nearest Airport and the railway station. Besides, there are private car and luxury bus services to ferry travelers from one part of the city to the other. Touristplacesinindia.com is an international travel site and a repository of useful information about Cochin and on other related information about the city.